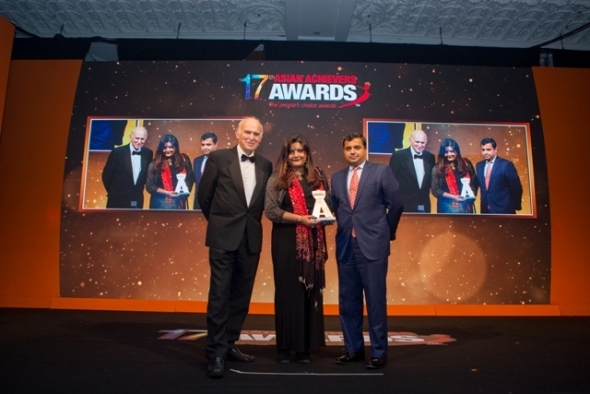 AUTUMN in London is always the Awards seasons in the Asian calendar and one of the more glamorous was the 17th Asian Achievers Awards that took place at Grosvenor House Hotel, Park Lane. The contribution of Asians to television, soap, music, theatre, drama and cuisine needs to be highlighted and applauded, he continued. Among the 800 or so distinguished guests were a few people from the artistic world, composer, Nainita Desai (who was nominated for achievement in arts and culture) and her husband, Malcolm Laws; Bhasker Patel, who is paterfamilias, Rishi Sharma in the ITV soap, ‘Emmerdale’; theatre actor and director, Harmage Singh Kalirai; Pakistani actor Ahsan Khan (who was recently in, ‘Ishq’, the musical) and model turned actress, Ainy Jaffri. The event last Frdiay (September 22) was compered by actor, Nitin Ganatra and Raageshwari Loomba Swarup a pop star, model and actress. Ganatra who was postman Masood Ahmed in the BBC soap, ‘Eastenders’, kept joking that he was available for stage work and only allowed Tanika Gupta, MBE who was awarded the Achievement in Media award to take to the podium and express her views. Later, when she spoke to www.asianculturevulture.com on the evening, Gupta, was even more outspoken. “We were talking around our table,” (she was sitting with Patel and Kalirai), that the Asian business in this city is worth about £40 billion and how much do they give to the arts? 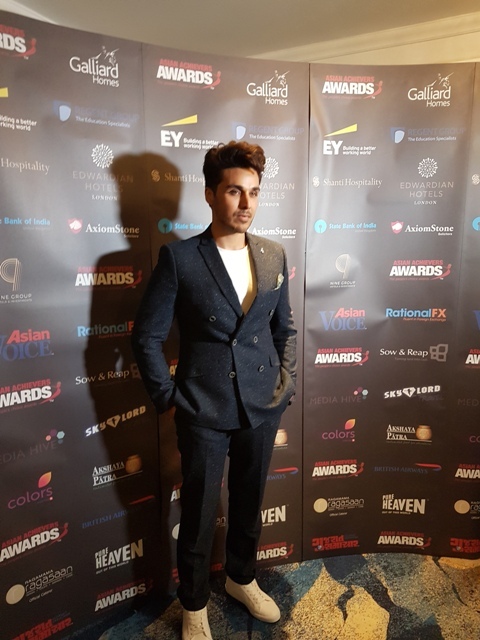 Trying to get the Asian business community to engage and support the British Asian artistic community is an uphill battle on many fronts and it would be great if we are able to build bridges, she reflected. 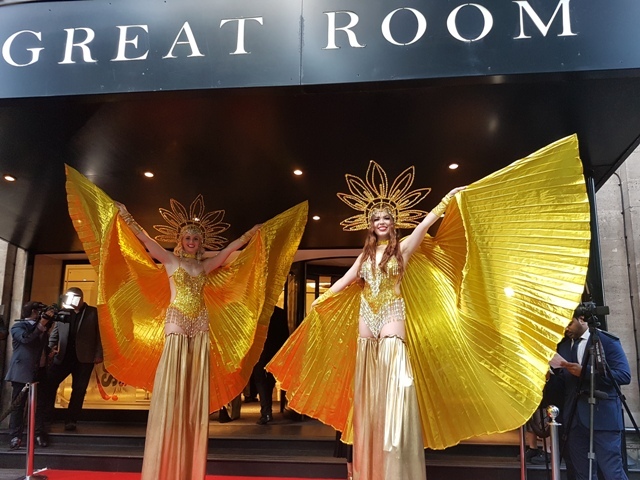 “Perhaps the Asian business people are not necessarily theatre goers, so for example with this (event), they have got a lot of Bollywood and glitzy glamour stuff but they don’t have any poetry readings or soliloquies from any plays. “So it’s interesting that’s the way they tend to go rather than high art”, she mused. Gupta was alluding to the fact, that the entertainment in-between the award presentations was a mixture of dance and Bollywood led, and although those forms are more popular (indeed acv is a fan), it tends to dwarf other arts forms that are a bit more subtle. “Look at India it’s full of high art! And Pakistan and Bangladesh – we’ve got Nobel Prize winners for literature coming out of our ears, so to say that it’s not part of our culture is wrong, but the Asian business people need to recognise it a bit more, I think and actually see it’s part of how we change things. It’s not just in boardrooms that change has to come,” she said. Gupta, who has just finished curating the Independence season at Shakespeare’s Globe, Southbank and a short run of her play, ‘Lions and Tigers’ (about her great uncle, Dinesh Gupta set in pre independence India), explained that it was important to try and change people’s attitudes and get people to see that “we can tell really important stories that are relevant today and not just about the past”. She went on to reveal that the outgoing artistic director of Shakespeare’s Globe, Emma Rice was a huge supporter of the play. Incidentally, Gupta has just adapted ‘A Short History of Tractors’ in Ukrainian, a comic novel by Marina Lewycka for the stage which had its world premiere at Hull Truck Theatre on September 28. 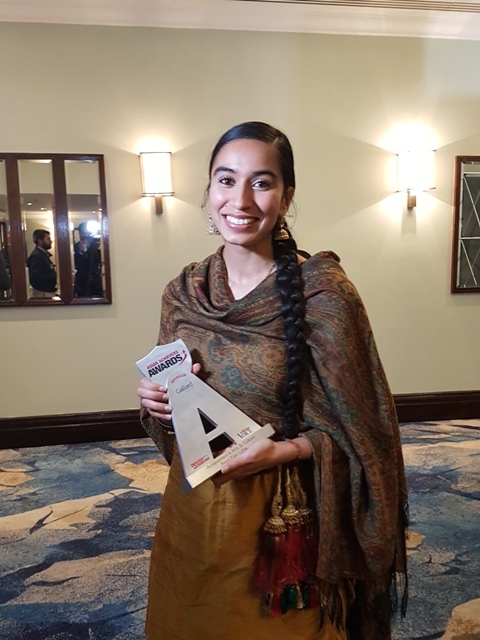 Perhaps the Asian Achievers Award will consider putting Amrit Kaur Lohia, vocalist and sarangi player, who received the Achievement in Arts and Culture award on stage, in future years. She is amongst a new younger generation of Asian artists who is proud of her Punjabi and London heritage and works as an advocate for young people(in classical Indian music and further afield). This year, 22 of the total nominations of 36 were women – by far the majority. Among the other winners were other inspiring women such as Saba Nasim, BEM for Achievement in Community Services. 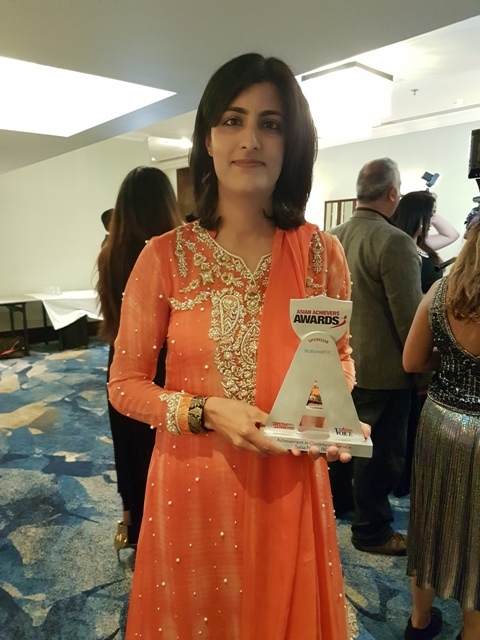 Nasim a solicitor, who runs a girls’ only cricket coaching club in East London, said she would take her award to show the girls at her project, that participating in sport was important for young Asian women. 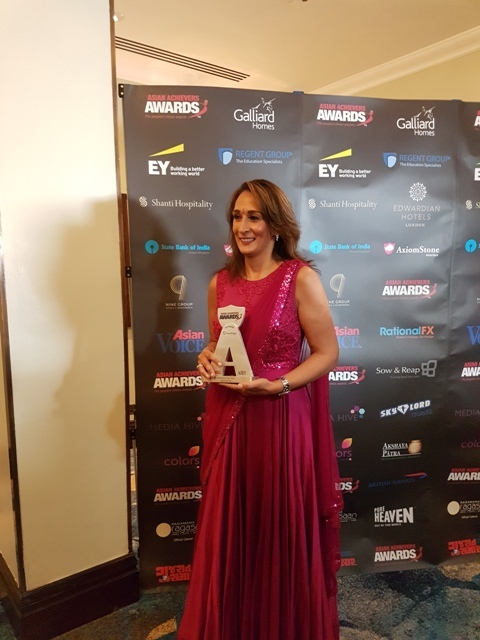 Jagdeep Rai, head of corporate banking at Barclays, received the Woman of the Year. She told www.asianculturevulture.com that getting recognised from one’s own community was important for two reasons. The evening also raised £155,000 for the charity The Akshaya Patra Foundation UK which works to provide school meals for children in India.